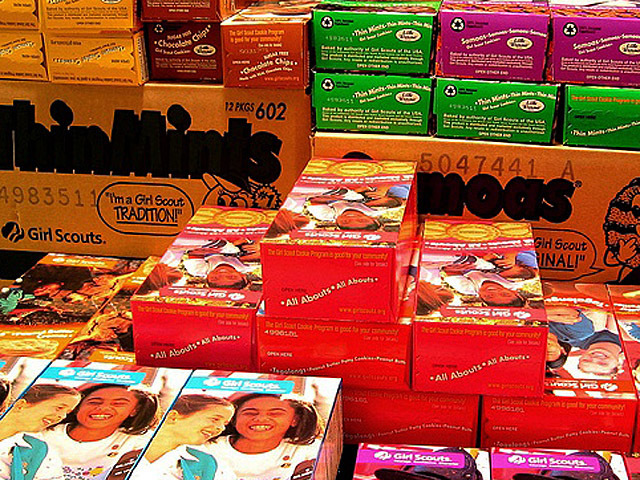 (CBS/AP) VILLA RICA, Ga. - Girl Scouts all over the US have started selling cookies door-to-door, outside of grocery stores and on street corners - little did they know they could possibly be cited for peddling. According to a troup leader, a group of Georgia Girl Scouts thought they were headed to jail when a police officer asked them for their peddler's permit to sell cookies outside of their local strip mall in Villa Rica, 30 miles outside of Atlanta, on Wednesday. When they weren't able to show a permit, the officer told them to pack it up. Troop leader Kathy Crook told local station WXIA-TV in Atlanta that she was stunned. The younger members of the troop were even convinced they were going to jail. The city's police chief and mayor spoke with the officer and said that he did nothing wrong, there was just a misunderstanding. The troop now has a permit to sell. The compensation they received for any psychological damages? The city has offered to throw them a pizza party.